• Center of gravity in the hybrids is positioned low and close to the face for fast ball speed with less spin. • Forged cup face hybrids deliver stunning power. • Heel and toe sole relief increases stability and reduces turf drag. • 431 Stainless Steel one-piece cast pocket-cavity head design. 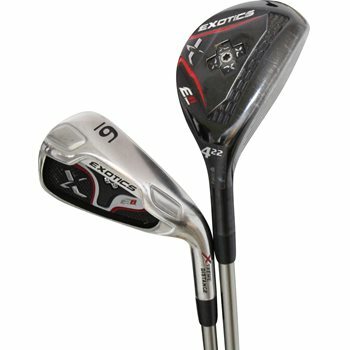 • Incredibly hot free-standing face delivers big distance. • Tungsten heel and toe sole weights provide maximum stability and forgiveness. • Multi-material cavity badge provides exceptional feel and dampens vibration.